Agiltron – Desktop L-PeakSeeker Raman Spectrometer | EINST Technology Pte Ltd. The PeakSeeker by Raman Systems is our most practical and easy-to-use Raman spectrometer. It is an excellent choice for users who want a full featured Raman spectrometer but have a limited budget. 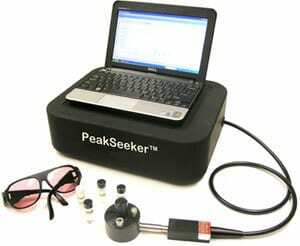 The PeakSeeker is extremely versatile for measuring multiple sample types. User friendly software and USB connectivity enables truly plug and play operation. Sampling accessories include a vial holder for liquids and powders. The PRB-HLD is a rack and pinion track stand that provides fine vertical adjustment for precision positioning of the fiber optic probe over solid samples placed on its baseplate. The fiber optic probe accesses remote samples and also interfaces to the microscopy accessories; the RSM Microscope and the MSK Microscopy Kit. Versatility The user can sample solids, liquids, and powders even when inside transparent packaging and containers such as bags, bottles and vials. Sensitivity The highly sensitive CCD detector features a wide spectral range and uses frames based integration to minimize the need for sensor cooling. Deep blocking laser rejection filters obstruct Rayleigh scatter and isolate Raman scatter for valuable molecular analysis. 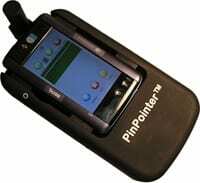 Portability The spectrometer is small and lightweight. Rugged construction and ergonomic design allow it to be carried just about anywhere and set up for immediate use. Simplicity Each PeakSeeker system includes a notebook PC pre-loaded with RSIQ™ software for true point-and-click operation. Sample spectra are acquired within seconds. Adaptability Optional software add-ons include: RSIQ-QUAL to enable substance ID by a database search of thousands of reference spectra using commercially available spectral libraries. Users can also create unique libraries; RSIQ-QUANT is a multivariate analysis tool; and RSIQ-CFR supports 21 CFR Part 11 compliance for cGMP electronic records and signatures.